You are going to Watch Papa no Iu Koto o Kikinasai! Episode 13 English subbed online free episodes with HQ / high quality. Stream Anime Papa no Iu Koto o Kikinasai! Episode 13 Online English sub Warmth. Yuuta and the girls win a family trip to a hot spring resort, where they are unexpectedly followed by Raika, Kouichi and Shuntarou. 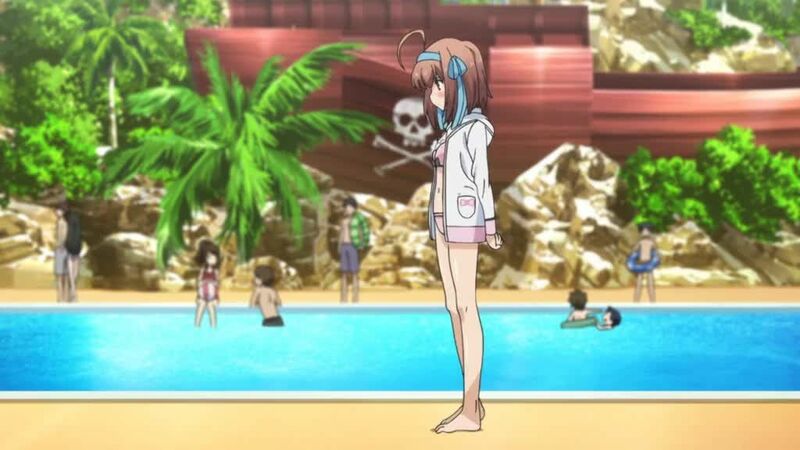 As they spend time at the swimming pool, Sora becomes concerned that Raika might have feelings for Yuuta. She gets more anxious when she believes Raika wants to take Yuuta to a Lovers’ Cape, though in the end, it turns out she wanted to take Hina. The next day, everyone goes to the Lovers’ Cape to ring the bell together, making a wish that they’ll all be together forever.